Have you always wanted to make your own swimsuits, but are afraid to try? It’s actually not that difficult and pretty similar to sewing regular knit fabric! 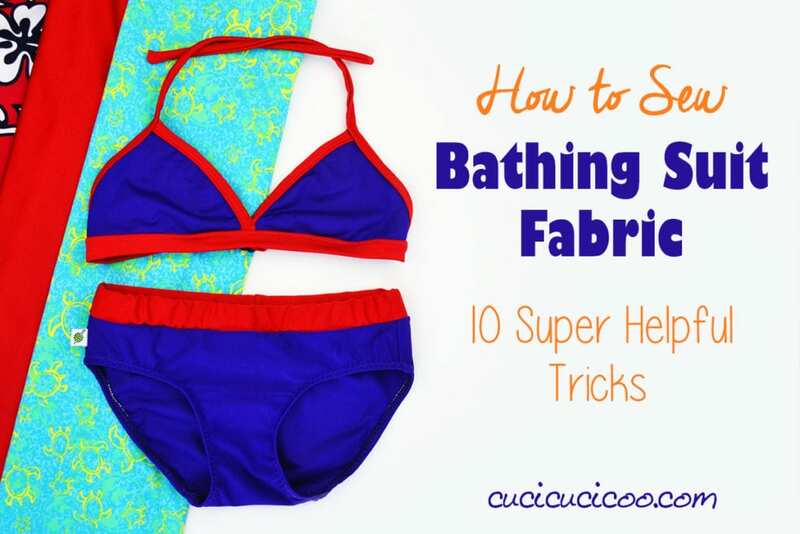 These 10 important tips and tricks will help you master sewing bathing suit fabric for amazing customized DIY swimwear and bikinis that actually fit your unique shape perfectly! Learn how to hem lightweight fabrics with this FREE Tutorial.